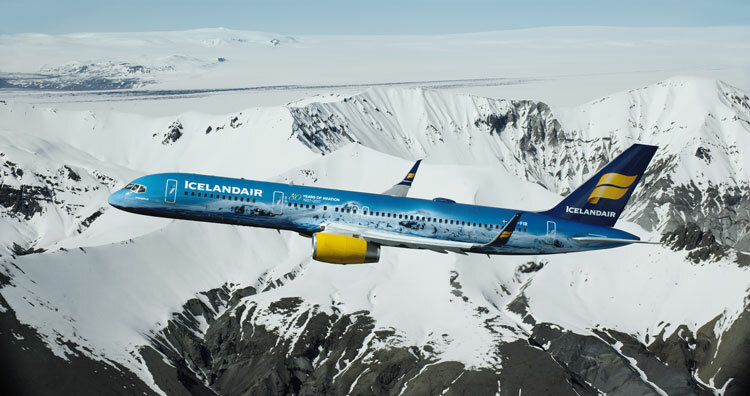 Airline Icelandair has revealed a new, glacier-themed plane to mark its 80th anniversary. 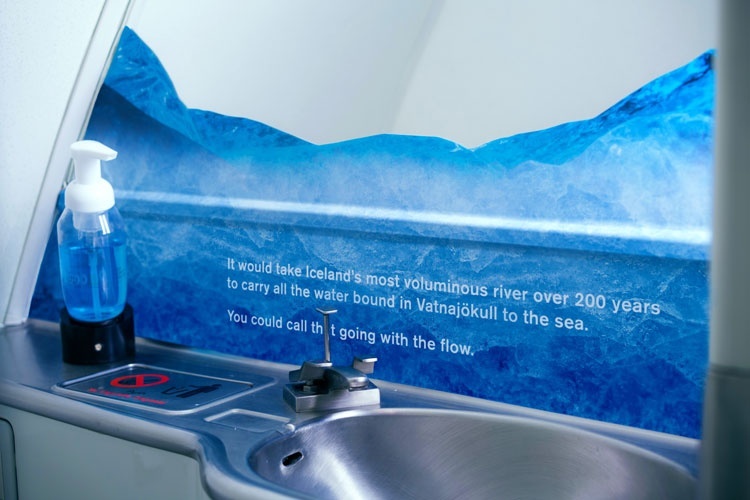 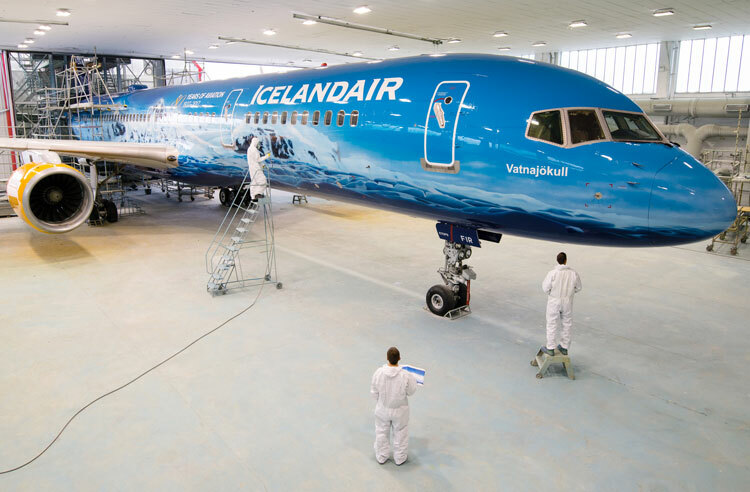 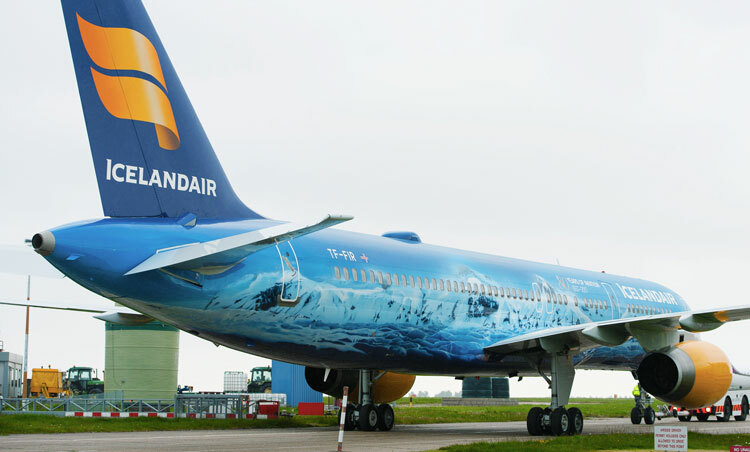 The Vatnajökull plane – named after the most active glacier in Iceland – sees the glacier recreated on the plane exterior. 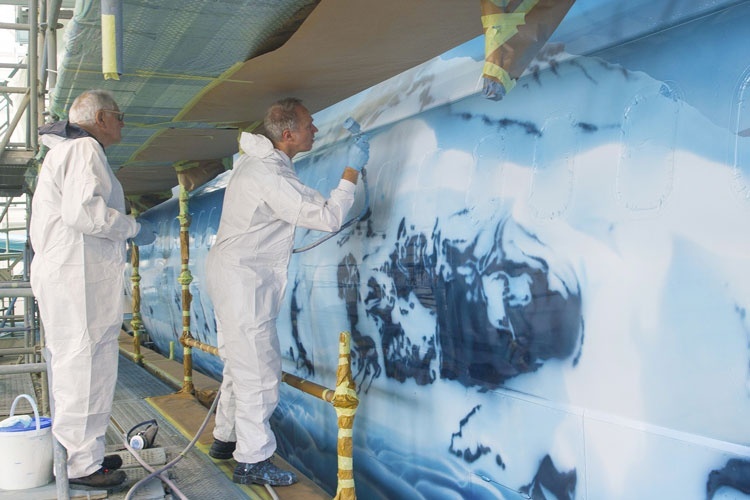 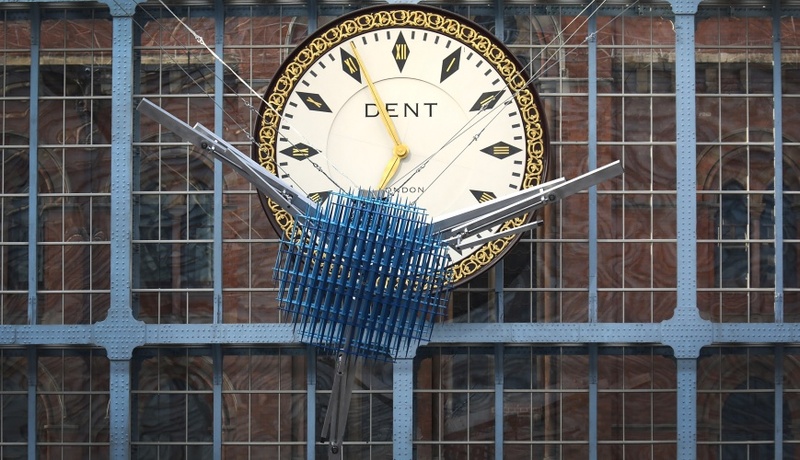 It has been spray painted by hand by a team of artists, taking a total of 24 days to create using 1,062 litres of paint. 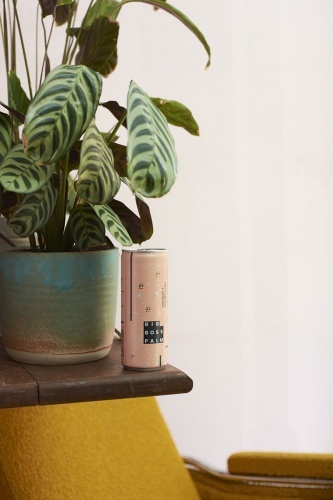 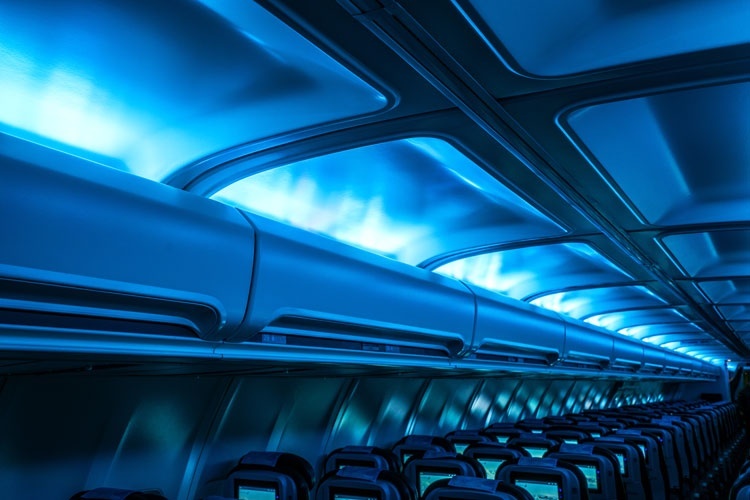 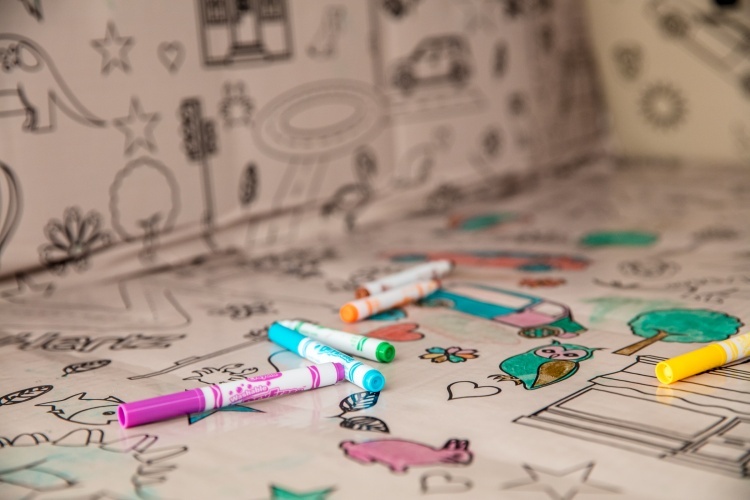 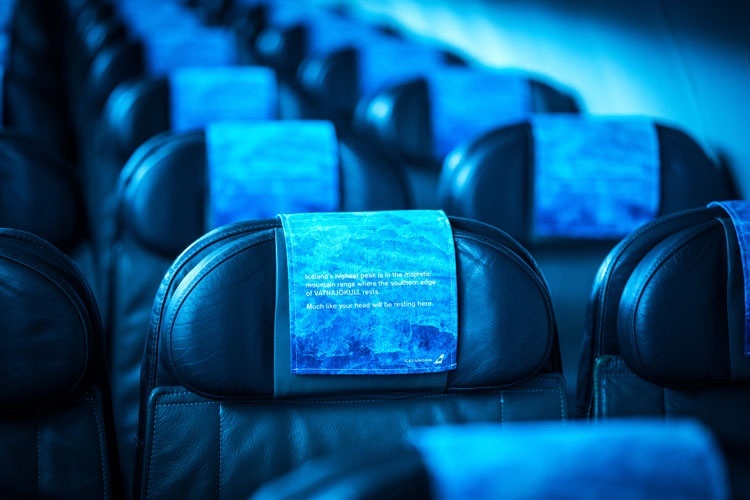 The glacier theme has also been carried through to the interiors, which feature LED blue lighting installed in the main cabin, headrests adorned with a white and turquoise design and cups, napkins and sick bags decorated with a glacier print.